Solihull-based Ranjit Dulai takes home an F-PACE for the weekend! As you may know, throughout April at Solihull we are running a special YOUR JLR App competition to win an F-PACE for the weekend. 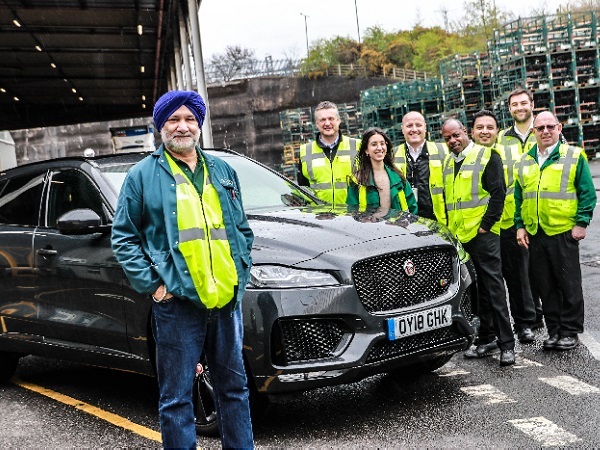 We've just handed the keys of a beautiful Jaguar F-PACE 3.0-Litre V6 over to our competition winner, Ranjit Dulai, a production operator in Stampings. He entered the competition to win the car for the weekend by downloading the new Jaguar Land Rover employee app. If you're based at Solihull and want to be in with a chance of winning, simply enter the competition on the new YOUR JLR app. First time I've ever won anything - I'm absolutely over the moon!